Digital Banking - Dnister Ukrainian Credit Co-operative. Your new Digital Banking experience! We’ve refreshed the content and navigation, as well as introduced a fresh and more dynamic design that is easily viewed on any device. Our full-featured digital banking experience includes a mobile app that lets you view your account balance at a glance, quickly pay bills, transfer money between your Dnister accounts and change your visa or cuecard PIN! Seamless and customisable banking in one place. Ideal for banking on your laptop or desktop computer. Quick and secure access at your fingertips. 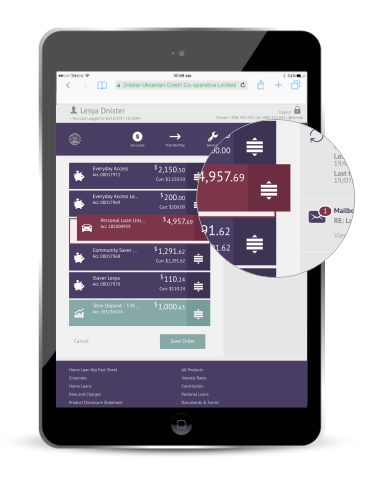 Ideal for banking on the go via your smartphone device. Changing your PIN has never been easier. Change your Visa or Cuecard PIN via the new digital banking portal or your smartphone device. You can also report your card as lost or stolen. Set up and manage which Notifications you would like to receive to your nominated email address. View your existing payroll splits. Allows you to see the account/s and amount/being split. Update your contact, address, work and personal details. Customise you dashboard and the order of your accounts with a simple click and drag option. Send email enquiries from a list of categories. Details of your sent messages can be viewed by clicking on the ‘Sent’ button. View the response to your email enquiry when you log in to Online Banking. Provides multiple signatory and batch options for Businesses and community organisations. This feature is limited to online banking as Dnister’s App is provided for single member use only. Customise your dashboard and the order of your accounts with a simple click and drag option. Select a main account which will act as the defaulted account when you make payments and transfers. Report your cards as lost or stolen. 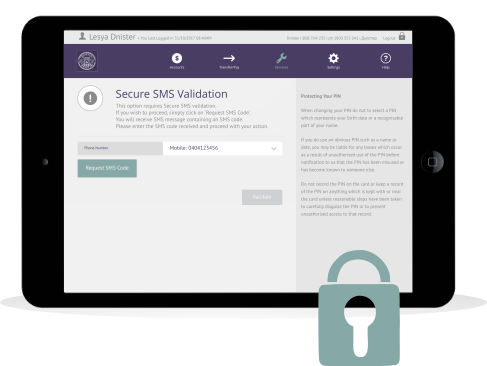 Dnister provides members an additional security feature for online banking called Secure SMS. ‘Secure SMS’ uses the safety of your mobile phone or landline to increase your online security. A 6 digit number is sent to your nominated mobile phone or landline via ‘Secure SMS’ which is used as your second authentication to carry out certain transactions, that require a higher level of security – such as external transfers. This service is also designed to protect other important areas, such as your personal details, and the change of periodic payments, batch transfers (for Business Banking), and BPAY details. Upon your first login into your internet banking account, you will need to confirm and register your nominated phone numbers on our secure system. Upon registration, a one off 6 digit number will be sent to your nominated phone number, which will need to be entered into our system. Once you have entered this number, the service will be activated. Once you have signed up, you will be able to continue transacting with ease through your saved, and previously set up, transfer accounts. This will be a list of destinations that you commonly transfer money to externally, internally, and via BPAY. By placing destinations on this list, you are not required to be notified via SMS whenever money is transferred to and from your accounts. This will save you receiving any unnecessary messages on your phone. If at any point you would like to change the settings you have created, you have the option to change your personal information, saved favourites, and other important details. Please note, the phone numbers that will appear on your internet banking are the ones you have provided Dnister with your member account. If these details are incorrect, or there are no numbers on the system, you will need to contact our member services officers and have the information updated. If at any point you need more information, or you need help understanding the service, please contact one of our member service officers. Manage your business accounts online with Business Banking. 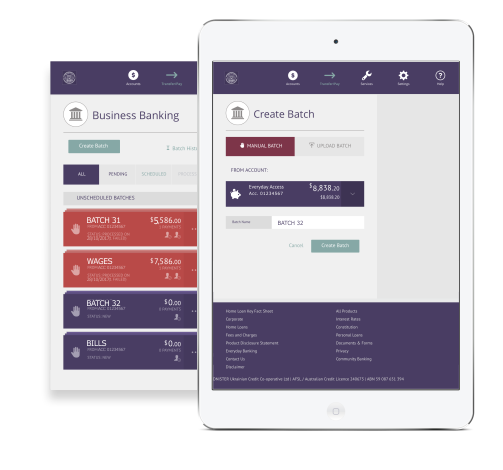 Dnister provides a tailored functionality for Business Banking called – Batch Transfers. This features allows you to process a combination of transactions at the one time with multiple signatories on the business accounts. Where a batch is created on an account which requires more than one signatory, the batch must be approved by the required number of signatories before it can be processed. For example a batch can be created by one signatory, but it will stay in a pending status until the second signatory logs in and applies the necessary authorisation. This makes for a more secure mode of banking for any business. 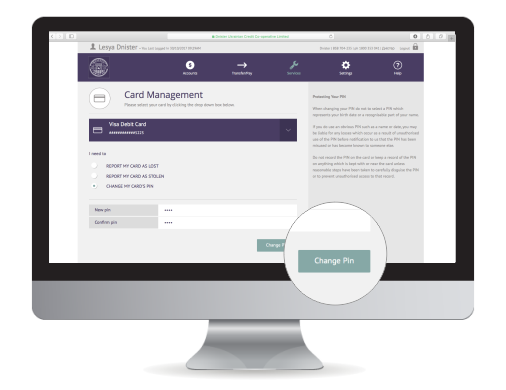 The batch functionality also allows members to upload and process a ‘cemtex’ or direct entry batch which has been created in a member’s accounting package (eg. MYOB, Xero or Quicken). 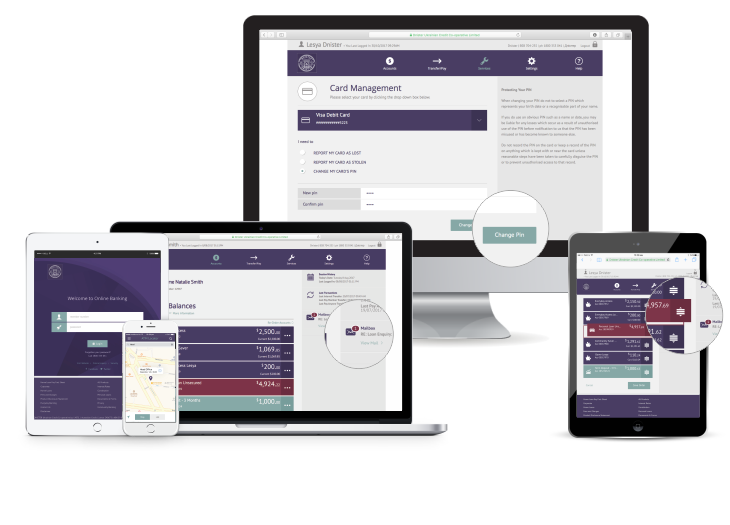 This functionality is most ideal for accounts owned by businesses, groups, schools or organisations. To setup Business Banking or find out more, contact our Member Services Team.